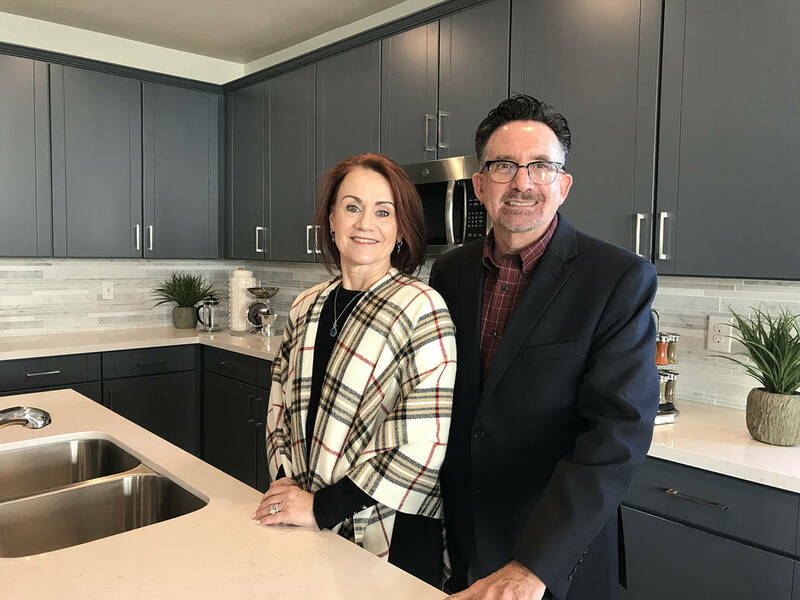 (Hali Bernstein Saylor/Boulder City Review) Catherine and Wayne Laska, principals of Storybook Homes, were on hand to help show area officials and real estate professionals the new model homes at Boulder Hills Estates on Jan. 24, 2019. The neighborhood near the Adams Boulevard and Bristlecone Drive is the first single-family residential development to be built in town in 30 years. 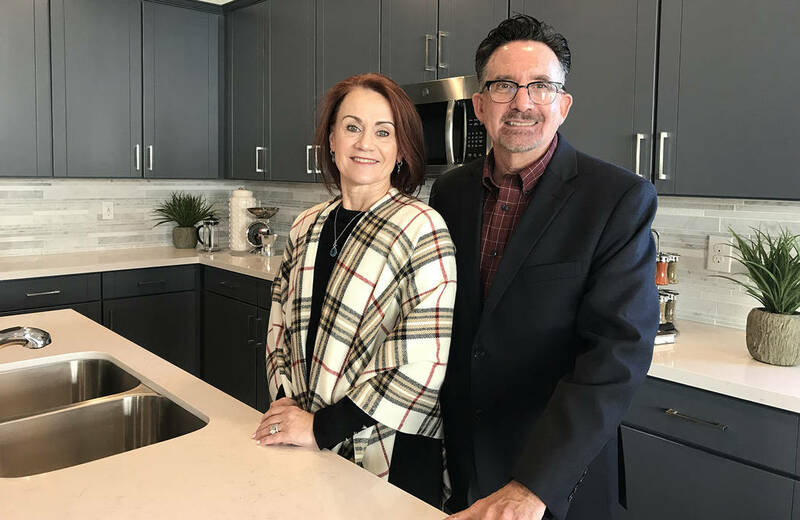 (Hali Bernstein Saylor/Boulder City Review) Wayne and Catherine Laska, principals of Storybook Homes, were on hand to help show area officials and real estate professionals the new model homes at Boulder Hills Estates on Jan. 24, 2019. The neighborhood near the Adams Boulevard and Bristlecone Drive is the first single-family residential development to be built in town in 30 years. City officials and area real estate professionals were invited to tour the models Jan. 24. “We’re very excited and very proud of the product we are building here,” said Wayne Laska, principal of Storybook. The 127-home neighborhood is the first large-scale, single-family residential development to be built in the city in 30 years. The builder is purchasing the 30.83-acre parcel near Adams Boulevard and Bristlecone Drive for $9.1 million, split into three 10-acre pieces priced around $3 million each. The builder broke ground for the neighborhood March 21 and three families moved in before the end of 2018. A formal grand opening will be held in the near future, said Janet Love, president of the home-building company. Boulder Hills Estates features single- and two-story homes ranging from 1,935-3,491 square feet. Based on interest from potential buyers, Laska estimates that 75 percent of the neighborhood will be single-story homes. 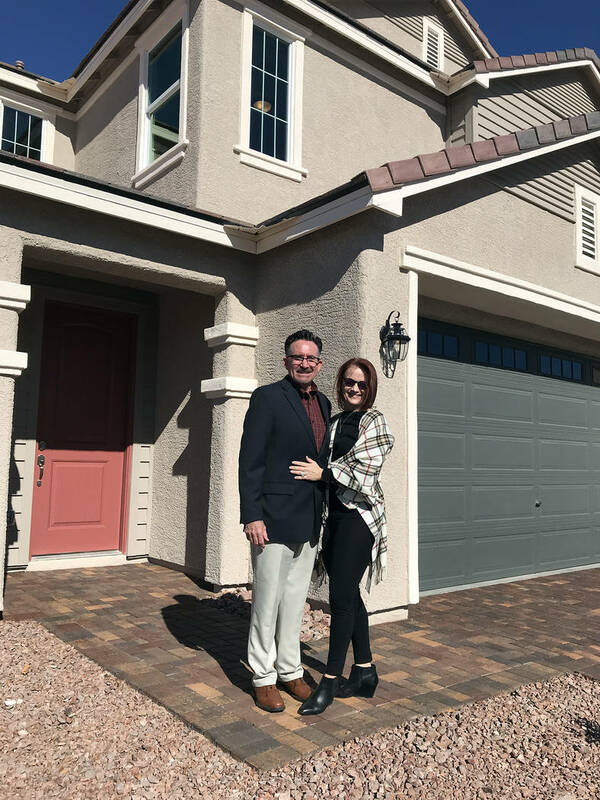 “There is something for everybody it seems, and I expect it to be a big hit,” said Bret Runion, owner of Desert Sun Realty, after touring the models. He was among the real estate professionals the builder consulted with before starting construction and was pleased that their concerns and comments were considered for the final product. Runion said the new homes open opportunities for people to move up, freeing smaller properties for entry-level buyers. According to Laska, interest in the homes has been high, adding that all four of the recently released home sites have already been reserved. Prices start at $415,000 and about half of the buyers are paying cash, he said. Laska said he doesn’t think there is “any doubt” the company will have difficulties completing the project and intends to purchase the other two 10-acre parcels. “I don’t think there is any issue for demand. We have to figure out how much demand,” he said, adding they have to work carefully to stay within the city’s 30-home limit per developer per year growth cap. He said the project will be a success if they sell three houses a month. When they first started construction, the homes placed on each site were selected by the builder. Now that has switched and buyers are able to select the lot they would like and choose what floor plan, based on those that fit, Laska said. Laska said most of the company’s experience has been building entry-level homes but this was a good opportunity for them to enter the Boulder City market. He said he was glad city officials worked with the small company to negotiate a deal to purchase the parcel in three pieces. Additional information about the neighborhood can be found on Storybook’s website, http://sbhlv.com.